Miramar mosaic is ordered by the square foot. It is assembled into sheets approximately 13 1/2″ tall by 13 1/2″ wide (0.68 square feet per sheet). 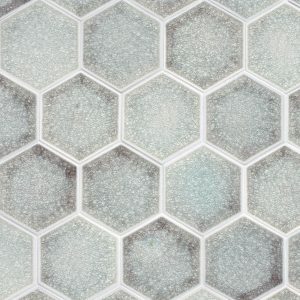 Miramar mosaic shown here in Cirrus with buttons in Nimbus. 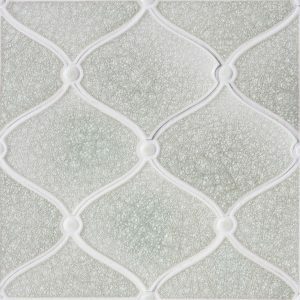 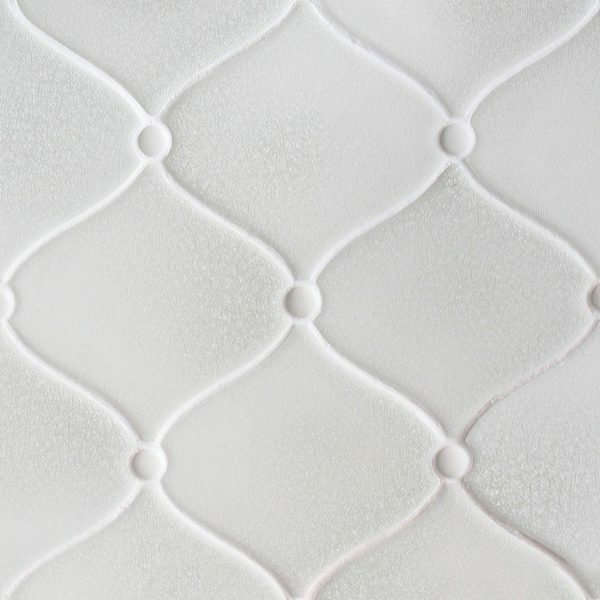 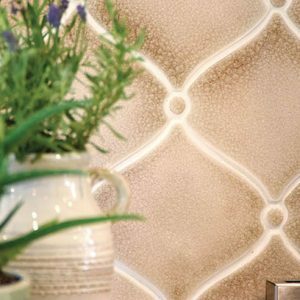 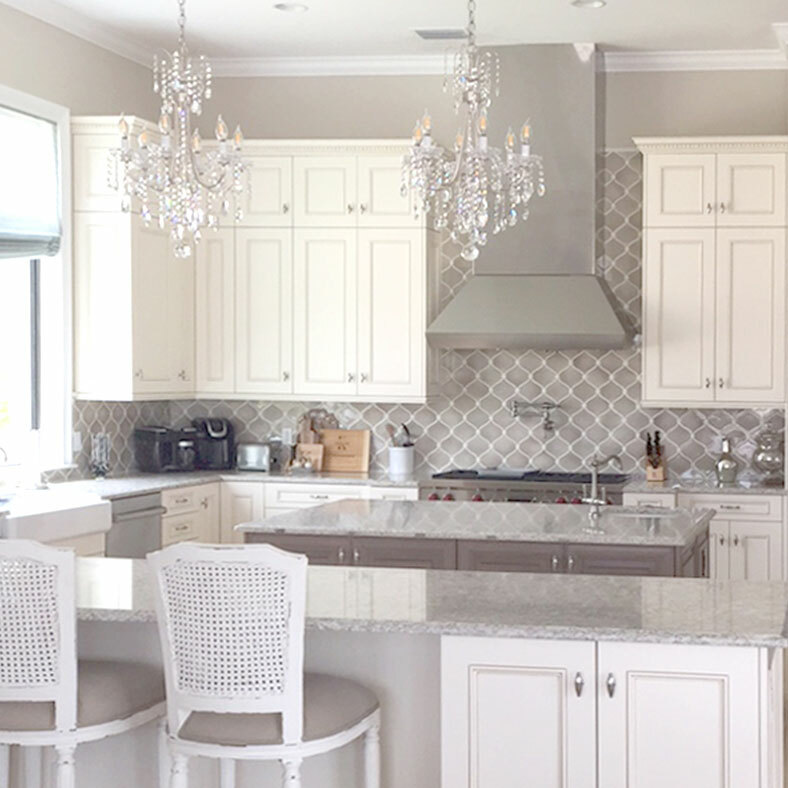 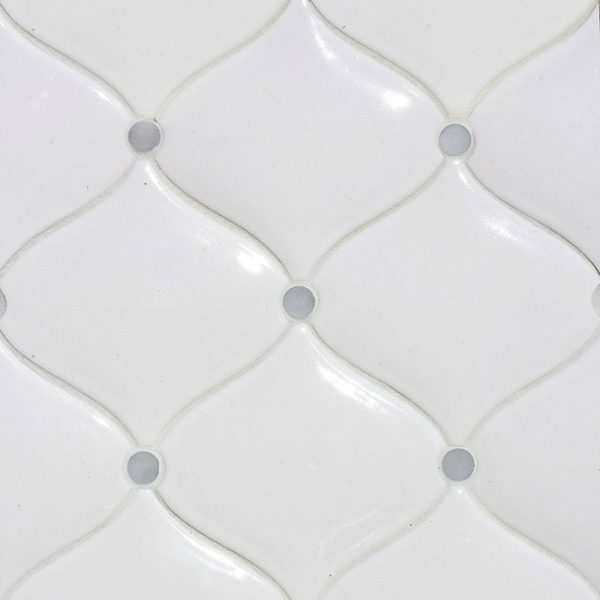 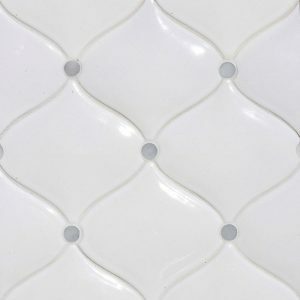 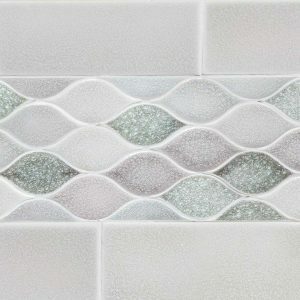 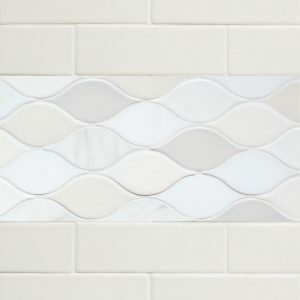 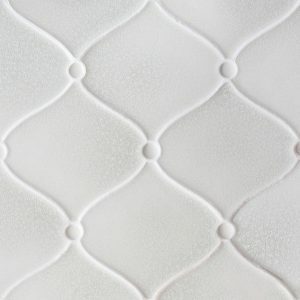 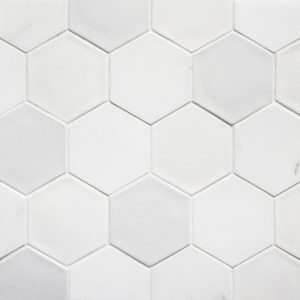 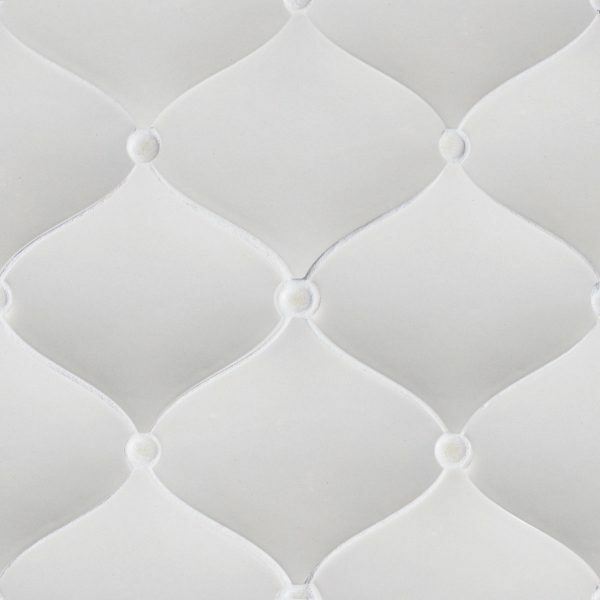 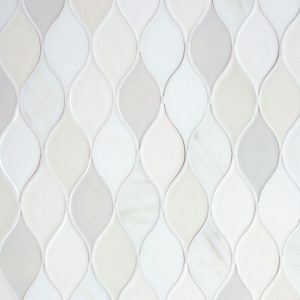 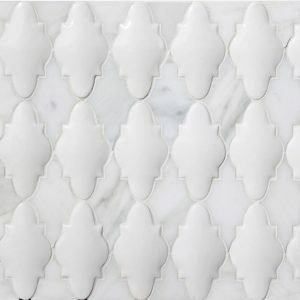 Miramar mosaic shown here in dimensional Milk gloss with buttons in Carrara marble. Miramar mosaic shown here in dimensional Partridge gloss, with buttons in Calacatta marble. 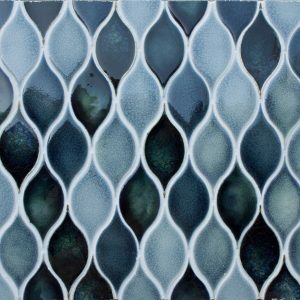 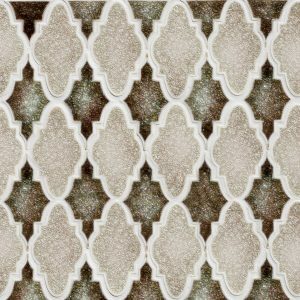 Miramar mosaic shown here in Fennel with buttons in Nimbus. 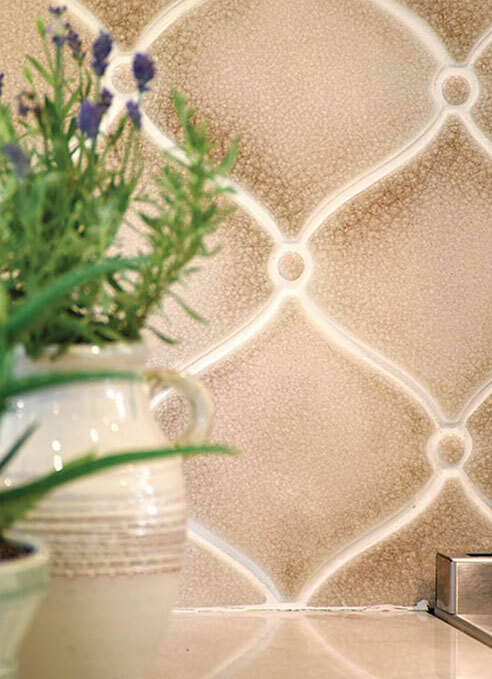 Miramar mosaic shown here in all Truffle. Miramar mosaic shown here in Silver with buttons in Nimbus.